keys and specially designed key-fobs for book contributors. The Hidden Library is a library which contains books that are significant to important points in the lives of those who have contributed them. 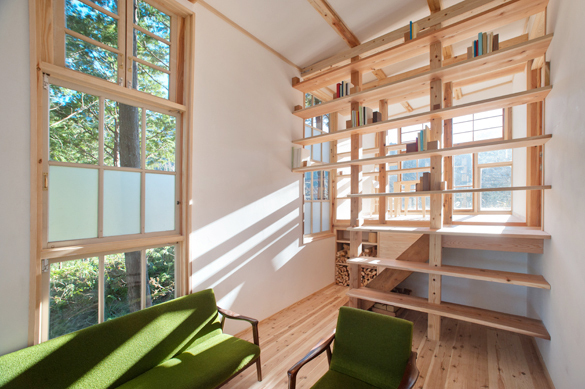 Like a retreat the library is located in a serene area of cedar forest on a hillside away from Kamiyama Village. The library's door is not open to everyone; only residents from the village have the opportunity to gain access. They can do this by contributing a book at 3 important junctures in their lives; graduation, marriage and retirement. On submission of a book residents are given a key to enter the library and evoke their memories whenever they please.